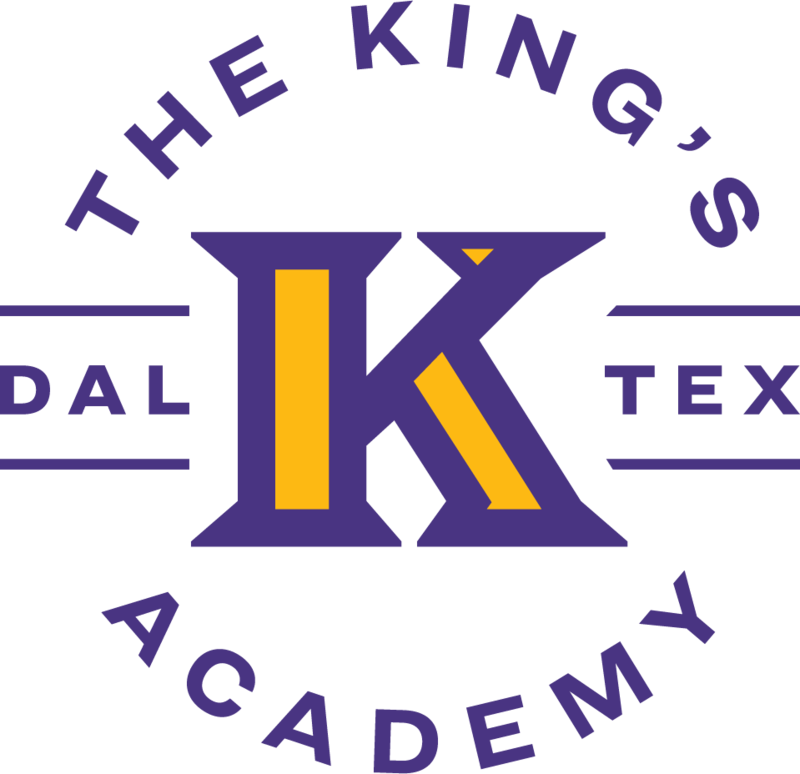 Dr. Shailendra Thomas is the inaugural Head of School of The King's Academy. She is excited about the opportunity to offer an exemplary education to youth in the Southern sector of Dallas. Dr. Thomas believes that education involves more than a child’s intellectual abilities; it should ultimately inspire learners to fulfill God’s purpose in their lives. Dr. Thomas’ experience in education extends over 30 years, serving as elementary school teacher, instructional specialist, educational consultant and adjunct college professor, Sr. Administrator/Principal at Fellowship Christian Academy, Dallas Co-Director of the Texas Private School Association, and National Accreditation Commissioner for the Association of Christian Schools International. Dr. Thomas received her doctoral degree in educational leadership in 2010 from Oral Roberts University and she recently completed her service as Head of School of Scofield Christian School. Dr. Thomas’ primary ministry is to her husband of thirty-seven years, Richard, three grown daughters, Lorren, Hillary, and Chelsea, and one grandson, Landon Blake. Whitney Daniels serves at the Community Liaison for The King’s Academy and works closely with families to link them to services provided within the community. Whitney believes that Kingdom Education transforms lives, families and communites and is excited to serve as an advocate for the children of The King’s Academy. Whitney has worked in community development and non-profits for the past 10 years including time at Common Ground Clinic in New Orleans and Maasia American Organization (MAO) in Kenya. Whitney holds a MSPH and MHA from Tulane University. Whitney’s primary ministry is to her husband of 5 years, Robert, and her two young sons, Levi Henry and Simon King. Dr. Larry Taylor is in his nineteenth year as the Head of School at Prestonwood Christian Academy (PCA) in Plano, Texas. Prestonwood Christian Academy serves more than 1,600 students enrolled at three campuses as part of its school system. PCA Plano serves Pre-K3 through 12th grade. PCA North in Prosper (Pre-K3 through 8th grade) is celebrating its fifth school year with more than 170 students and is now enrolling through 9th grade as it grows to the first graduating class of 2023. PCAplus is celebrating record-breaking enrollment in its virtual academy, and part-time students, and has been serving students for 10 years. St. Timothy Christian Academy is a K through 12th grade school for students with learning differences which joined PCA’s School System in 2017. Dr. Taylor has served as President of the Texas Private Schools Association (TPSA) Board of Directors, and currently serves on the Board of Directors for the Association of Christian Schools International (ACSI), and the ACSI Education Foundation. Prior to this position, Dr. Taylor served for twelve years at The First Academy in Orlando, Florida as a High School Principal and Assistant Headmaster. He also has held teaching positions within the public-school system. Dr. Taylor co-launched a national training institute for schools, “Becoming a Kingdom School Institute” and founded the Student Leadership Institute (SLi) program. He developed a training program for parents titled, “Becoming a Kingdom Family.” Dr. Taylor published the book, Running With The Horses, that helps parents raise children to be servant-leaders for Christ and helps to build a family plan. Dr. Taylor received his Ph.D. in Philosophy in Leadership Studies from Dallas Baptist University (2009); his Master’s Degree from Nova University (1993) and his Bachelor’s degree from University of Central Florida (1986). Dr. Taylor has been married to Delinda Rose Taylor for 33 years and has four sons, Bryce, who graduated from Yale University and Notre Dame Graduate School, Luke, a graduate of Princeton University, and the University of Chicago Booth School of Business, Zeke, a graduate of Florida State University, and Chas, a graduate of Rice University, and currently in law school at the University of Chicago. John P. Klingstedt currently serves as an Assistant Head of School for Prestonwood Christian Academy. Mr. Klingstedt received a degree in Accounting from Oklahoma State University, and worked for over fifteen years in the areas of corporate finance and accounting, serving as a Senior Vice President of one of largest Cable Television Companies in the U.S. His efforts included managing corporate accounting, public reporting, treasury functions and Human Resources for rapidly growing companies. In 2000, Mr. Klingstedt redirected his efforts to use business skills for educational efforts, first as the founding Director of the Prestonwood Foundation, then moving to serve at Prestonwood Christian Academy. 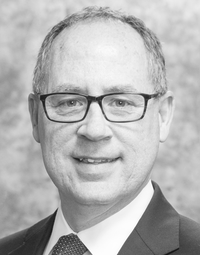 Mr. Klingstedt has served on various non-profit boards and advisory councils, and currently teaches a weekly Bible Study Class, and various stewardship classes at Prestonwood Baptist Church. He and his wife, Libby live in the Dallas Texas area and have three children. Tom Sherman is a Branch Manager and Sr Loan Officer with Benchmark Mortgage. Tom leads a team of seasoned mortgage professionals in addition to working closely with a group of highly successful real estate agents that focus primarily in the Dallas Fort Worth Metroplex. Tom has received numerous awards within the Mortgage Industry and remains recognized as part of the top 10% nationally. With a career spanning over 25 years, Tom has built a business model that focuses on coaching and consulting his clients through what can be their largest financial decision while educating them on becoming better financial stewards. Tom’s financial business journey started after graduating from Trinity University and continued with creating one of the largest business partnerships with Keller Williams. After leading and developing that company, Tom sold it in 2008 and shortly after joined Benchmark Mortgage and began originating once again. Tom’s servant heart has allowed him to assist hundreds of local families in fulfilling their dream of homeownership. Tom currently serves on the Board at Prestonwood Christian Academy and the Board at Prestonwood Pregnancy Center. He also serves as a Deacon at Prestonwood Baptist Church. He has been on various mission trips to several countries, working, serving and spreading the Gospel of Christ. In addition, Tom mentors young men in becoming Christ like servants and better leaders in their communities. Tom and his wife Jennifer have been married for 25 years and have two grown children, Meghan & Thomas. Mike Beeson attended The University of Texas at Austin with an extensive background in business development, finance, and mergers and acquisitions. He has a passion for sharing the gospel and mobilizing the church, and has lead dozens of mission teams into the field to 14 countries on five continents. 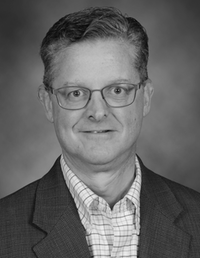 His professional background includes senior executive positions with various corporations, as well as similar positions in a number of non-profit organizations, including a member of the senior leadership team for 13 years at Prestonwood Christian Academy in Plano, Texas. Mike currently serves as the Ministry of Missions for Prestonwood Baptist Church in Plano, Texas, and continues to serve in leadership roles for various non-profit organizations. Eddie Caldwell is a Managing Director and Wealth Management Advisor with Northwestern Mutual and has been with the company since 1990. He graduated from the University of Arkansas with a degree in Engineering, and from the University of Dallas with a Masters degree in Business Administration and Finance. Eddie is married to Paula, and they have three children, Josh, Courtney and Ryan. His community involvement includes having served on the board of Prestonwood Christian Academy and volunteer work with Bonton Farms. Rob is a native of Dallas, growing up in south Dallas (Oak Cliff). Upon graduating from high school, DeSoto High, Rob went to college at the University of North Texas where he majored in Biology with a minor in Chemistry. With a love for medicine and a deep conviction for gospel ministry, upon graduating from UNT Rob moved to Maryland to pursue full-time vocational ministry with The Navigators. In Maryland, Rob gained a heart for discipleship and a love for nations. In 2009 and 2010, Rob traveled oversees to partner with a medical ministry in Burkina Faso, Africa, to partner his loves together of ministry and medicine. In Africa, God gave Rob a desire to shepherd and pastor to return to the states with the hope of leading a church. Rob worked for the Village Church as the Connections Pastor for 5 years. Rob is completing his graduate studies at Dallas Theological Seminary, pursuing a master of Christian Leadership. In 2016 Rob started to develop a heart for local church planting and in 2018 Christ Freedom Church was started. Rob is the lead pastor and planter of Christ Freedom Church with a desire to see the gospel of Jesus Christ reach and transform the city of Lewisville, and into the ends of the earth. Rob is married to his wife, Whitney, of 5 years and together they have 2 sons. In his spare time, Rob enjoys time with family, growing his business as a real estate agent for North Texas, working out and tending to his vegetable garden. Johnson is the owner of Cura Emergency Services – an environmental company specializing in the cleanup of hazardous chemical spills throughout North America. Johnson has been an entrepreneur since the age of 16 and has been a part of several startup companies. He graduated from Baylor University where he majored in Finance, Economics and Real Estate. He has been married to his wife Beth for over 32 years and they have three grown children Landen Winston, Sheridan Ellis and Graham Ellis. Johnson has been active for 30 years in ministry work throughout 5 different continents. He currently serves on 5 different ministry, foundation and corporate boards including The Kings Academy. He is very active in serving the Bonton community and first served there in the late 80’s. He is one of the founders of Amazon Outreach that serves some of the thousands of villages in the Amazon region of Brazil. J.D. Ferguson has been a partner in Clear Star Aviation since 2016. He graduated from Baylor University with a Bachelor of Business Administration degree in 1974. J.D. spent 25 years in the computer industry traveling throughout Asia, South America and Europe and for the past 17 years has been a business owner. He has served on the board of Prestonwood Christian Academy and the Prestonwood Baptist Church Board of Trustees. J.D. is married to Carol, and they have three daughters and six grandchildren. Alan Miller is the President of Texas Capital Bank Wealth Advisors. 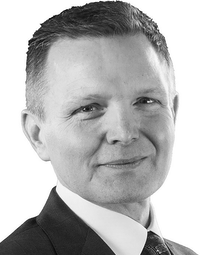 He is responsible for managing the seamless delivery of estate and financial planning, investment management, trust and estate administration, concierge private banking and mortgage services for high net worth and affluent clients in the Texas markets of Dallas, Fort Worth, Houston, Austin, and San Antonio. A 30-year banking executive, Miller joined Texas Capital Bank from BOK Financial and Bank of Texas where he built and managed the wealth management and private banking operation for Texas and most recently managed the high net worth banking segment across BOK Financials’ seven state footprint. Prior to that, Miller managed the Dallas wealth management and private banking business for JP Morgan Dallas where he was a top performing manager and led one of the largest, most complex markets. Miller previously spent 17 years serving in various production and leadership capacities in the corporate banking and corporate finance space for Bank of America and JP Morgan. Miller holds a Bachelor of Business Administration in Finance from the University of Texas at Austin and a Master of Business Administration from the Cox School of Business at Southern Methodist University. Miller currently serves on the board of directors of the SMU Athletic Forum and is a Trustee for Prestonwood Christian Academy and Kings Christian Academy. He previously served on the boards of Bank of Texas, The Dallas Theater Center, Ronald McDonald House of Dallas, Junior Achievement of Dallas and the Economic Development Board of the Greater Dallas Chamber. Alan and his wife, Meg, of 31 years have three children. Chris L. Simmons serving at the Cornerstone Baptist Church in the inner-city community of South Dallas/Fair Park, Dallas, TX in May, 1988. He was called to serve as pastor in September, 1989. The church was located in an area that was a infamously called the “war zone” because of the gang activities, drive by shooting, drugs, prostitution, and other societal ills prevalent in inner-cities across America. Although the church had in its DNA community outreach and ministry long before Chris became the pastor, it has been under his leadership that many of these ministries have been expanded and additional ones added in order to reach those in the community at an area of a “felt need” in order to share with them their “real need” – a relationship with Jesus Christ. Under Chris’ leadership, Cornerstone started the Cornerstone Community Development Corp., Inc. which has as its mission of bringing about community development and revitalization in one of the most blighted area on South Dallas/Fair Park. New homes are being built and residents are moving back into the neighborhood. Cornerstone has acquired a number of properties in the South Dallas community that we were once community nuisances and transitioned them into facilities that currently contribute to the growth and development. Among these are a former liquor store that is now the Cornerstone Kitchen, abandoned crack house that his now the Philemon House for the formerly incarcerated, a rundown apartment complex that is now the Cornerstone Care Center providing a number of outreach ministries in the community. In partnership with the City of Dallas, the development corporation has purchased a number of abandoned vacant so that new affordable homes can be built for the community. Chris is married to Janie. They have three children and three grandchildren. Brett Young graduated from the University of Texas at Austin with a Bachelor of Business Administration in Finance, as well as additional studies in Accounting and Literature. He has spent his career thus far at CPMG, Inc., a Dallas-based investment management firm, where he assists in making investment decisions for endowments and other clients. Brett and his wife Camryn have personally experienced Kingdom Education as graduates of Prestonwood Christian Academy. Camryn subsequently pursued a career in education; she now teaches First Grade at Hyer Elementary. Brett was similarly impacted and now, after years of serving in Bonton and other South Dallas communities, has developed a passion for urban education and education equality.